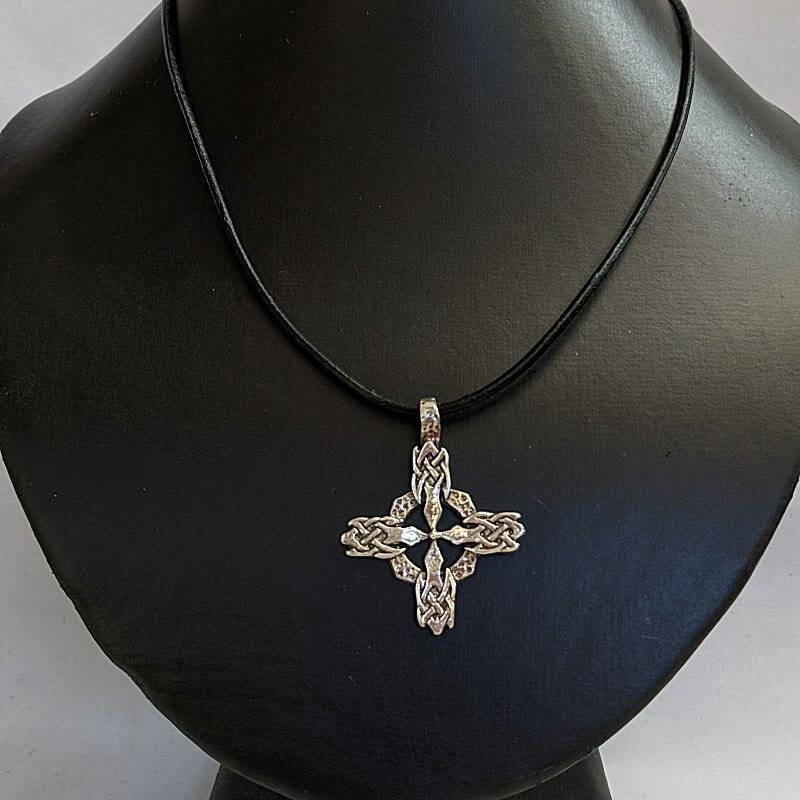 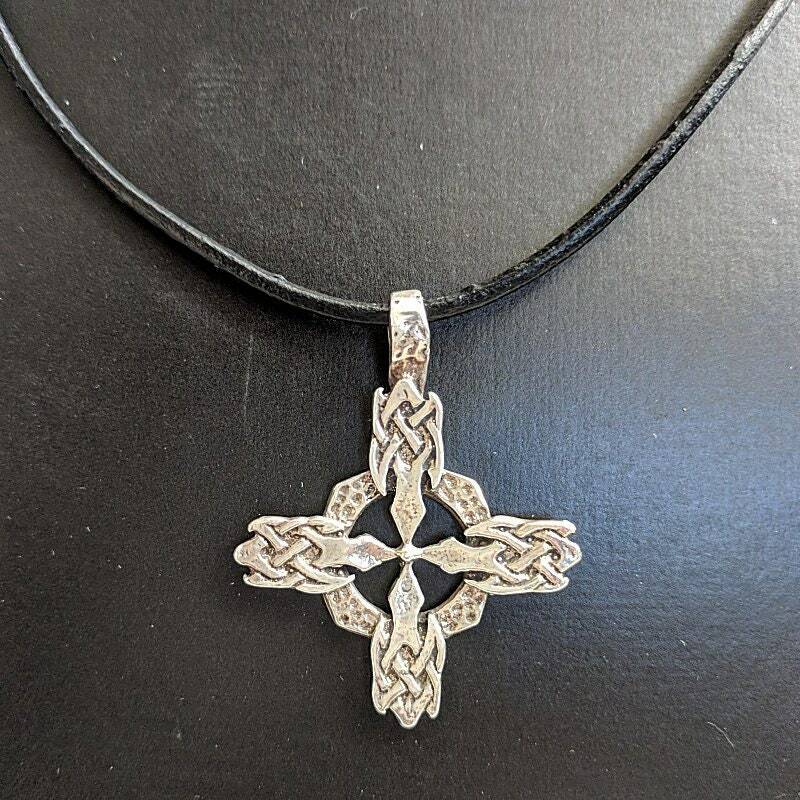 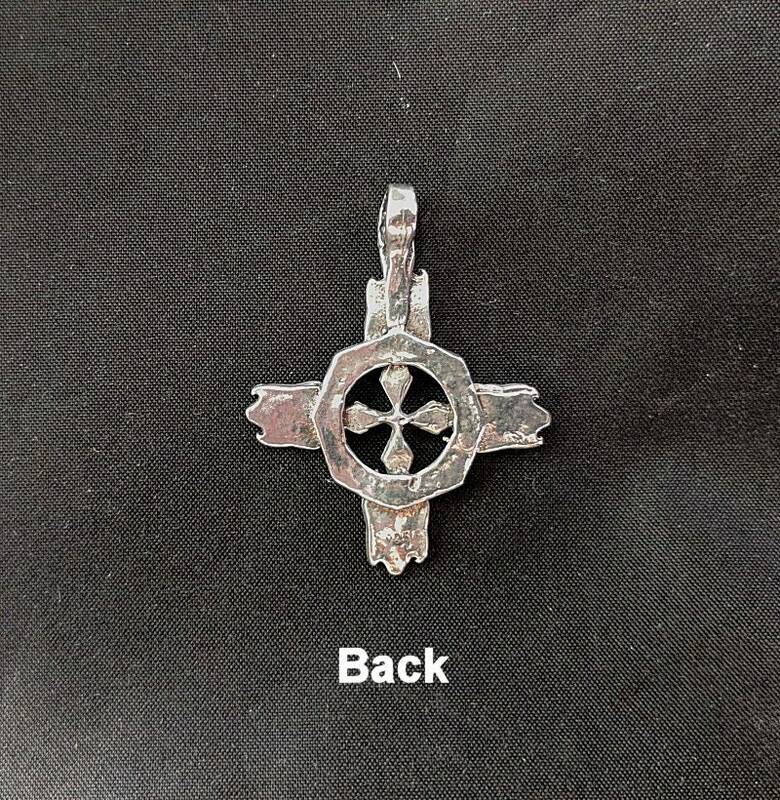 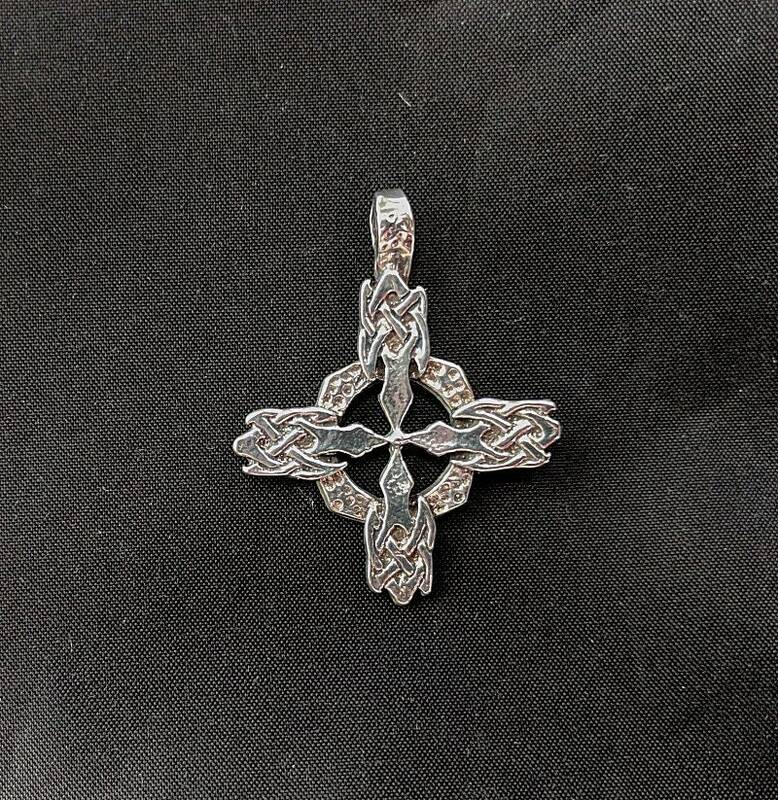 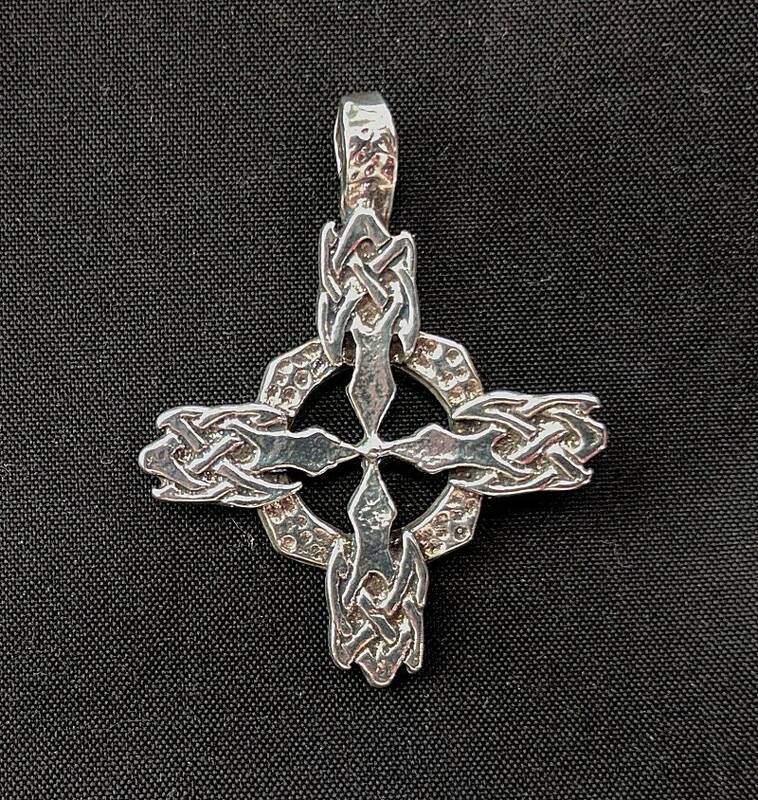 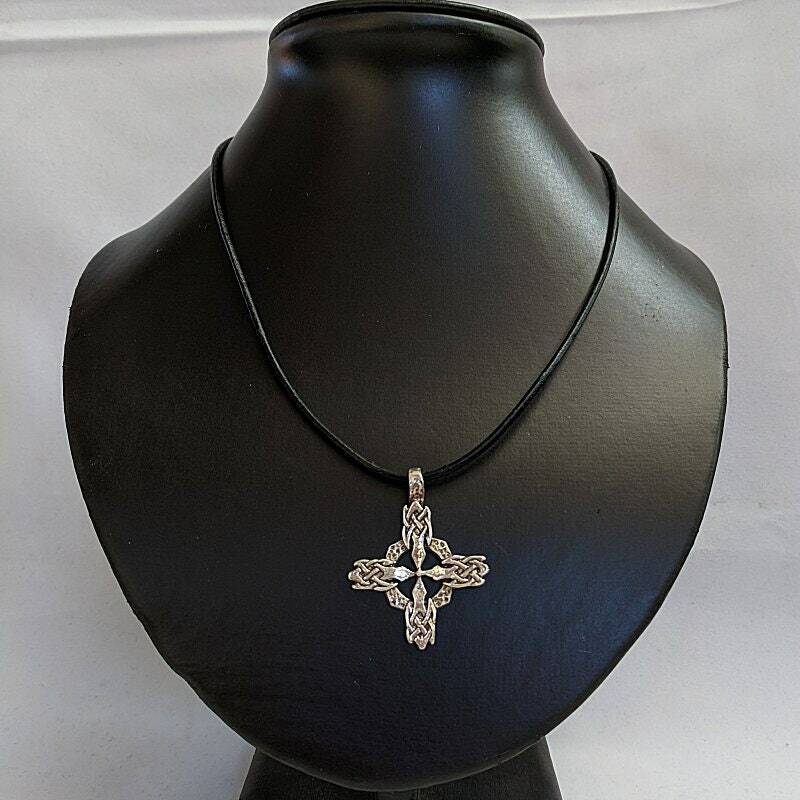 An equal arm Celtic Cross pendant with knot work on the arms. 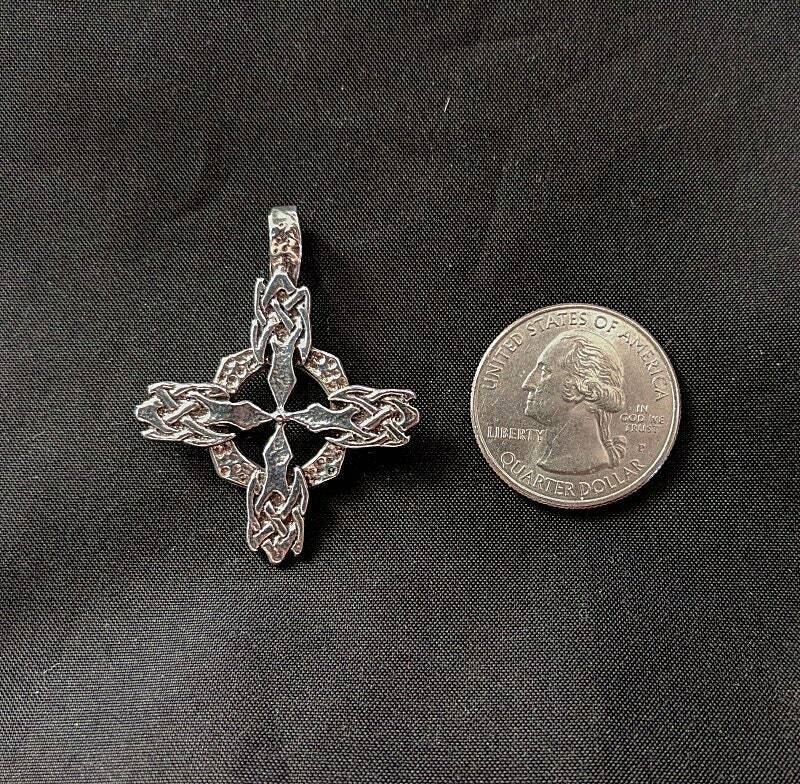 It measures a little over 1 5/8" (42mm) in height including the bail and a 1 1/4" in width. 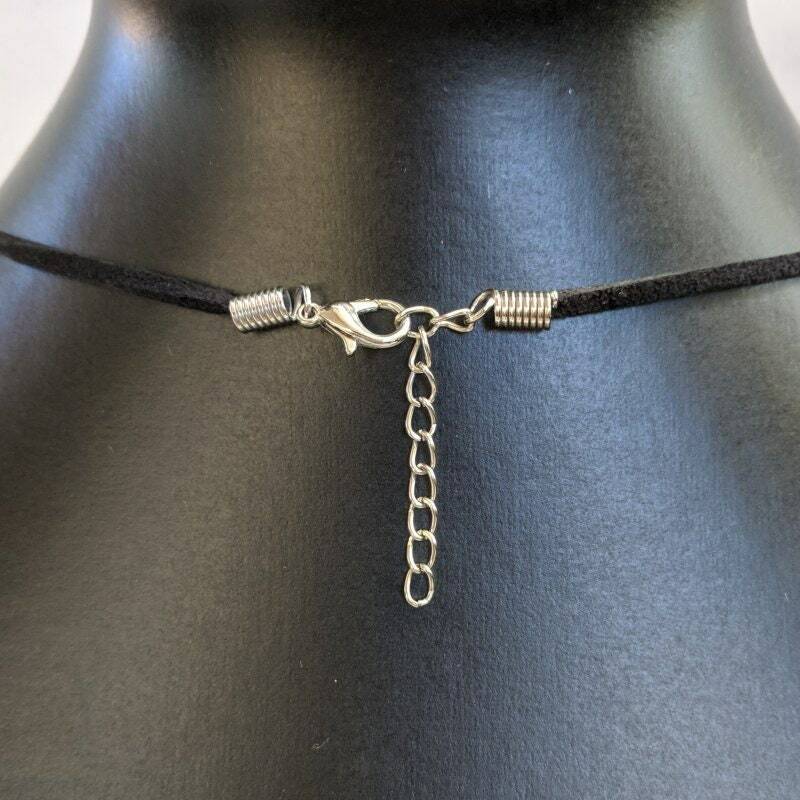 Made of sterling silver and hangs on a 16" leather cord with an extender chain.